Shannon has been in the Title industry since 1999. She handles all aspects of the day to day operations pertaining to the settlement process. This includes ordering and reviewing title work, ordering payoffs, surveys and any other necessary documents needed for closing. Shannon also prepares the HUD-1 settlement statements and coordinates the closing dates and times with all parties involved, including borrowers, lenders and realtors to ensure a smooth closing. She can help make sure your settlement closes despite difficult issues! 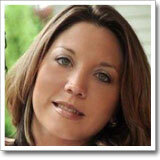 Melinda has been with A-1 Title Services since our doors opened! 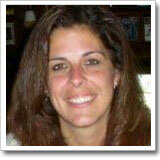 She has been in the title industry since 2001 and has been a licensed settlement agent since 2003. Some of her responsibilities include ordering the title work, ordering payoffs, surveys and any other items which may be needed to ensure your closing goes smoothly and efficiently. She will process your closing from start to finish which includes preparing the title commitment, the settlement statement, post closing of the loan documents and the funding of the loan. The years of experience under her belt gives Melinda the confidence and ability to handle all of your settlement needs! Please feel free to contact her with any questions or concerns you may have regarding your settlement transactions! Bobby has been with A-1 Title Services since our doors opened! He is a great asset to A-1 Title due to his warm, professional up beat personality! He assists the processors with the day to day operations. This includes post closing, answering phones, meeting new clients and maintaining strong relationships with them! 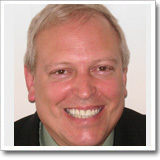 Bobby looks forward to working with all of our clients! 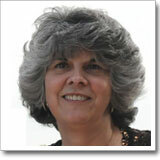 Charlene has been licensed in the real estate industry since 1985! From 1985-1998 she was a licensed Maryland Real Estate Agent in general brokerage and new home sales. She worked with buyers to find a new home that they could afford and introduced them to their new area! In 1998 she started working for a Maryland Real Estate Attorney as a processor. Charlene obtained her settlement license in October 1998. 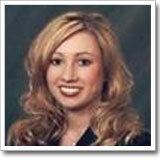 She has experience in processing title cases from the beginning to the end! This includes ordering title work, reveiwing/examing title work, resolving clouds on the title and other title issues. She also is extremely knowledgeable at preparing settlement statements, performing closings, and post closing title cases! Stacey wants to provide you with a smooth and worry free transaction. Stacey is a detailed oriented professional whose success is due to her integrity and sincere interest in the personal satisfaction of her clients. Stacey gives her clients only the best service. She will also follow up on all details so your transaction process is a smooth and worry free one! 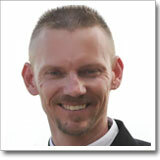 There are several elements Kurt's life that have enhanced his ability as an attorney. The first is having been raised by parents who were not aristocrats. They were both children of the Great Depression, and they taught him that there is no one better than anyone else. The result is that he is an attorney who is just an average guy, who has been fortunate enough to get a law degree. He's am not an aristocrat who has trouble connecting with the average person. The second great life event that has had an impact on his ability to practice law is his 23-year career in the United States Air Force. he served as a pilot and an officer, and served in several wars. There is nothing that can impress upon you what’s truly important in life like going to war. And the camaraderie of the Air Force taught him trust, fairness, a deep appreciation for our rights as Americans, and a sense of giving to the community.